Today we’d like to introduce you to Kayla Lardakis. Kayla, let’s start with your story. We’d love to hear how you got started and how the journey has been so far. I moved to Chicago in 2011 with a friend of mine, Phil, after graduating with a BS in Math and Theater from Black Hills State University, in South Dakota, and finishing my time as a Combat Medic with the North Dakota Army National Guard. Neither of us had been to Chicago, let alone, lived in a big city, but we decided to take the leap and move out here. Being from a theater background, we wanted to have the opportunity to go be able to act as a career, if that’s what we decided to do. After a quite eventful trip to Chicago that consisted of cars breaking down and getting towed, unexpected delays getting into our apartment, rush hour on a Friday driving a U-Haul pulling the previously mentioned, broken down car; we got to our apartment and hauled all our stuff up a three-story walk-up, in the rain After all of this, I never went to a single audition! I went straight to work doing business to business sales. 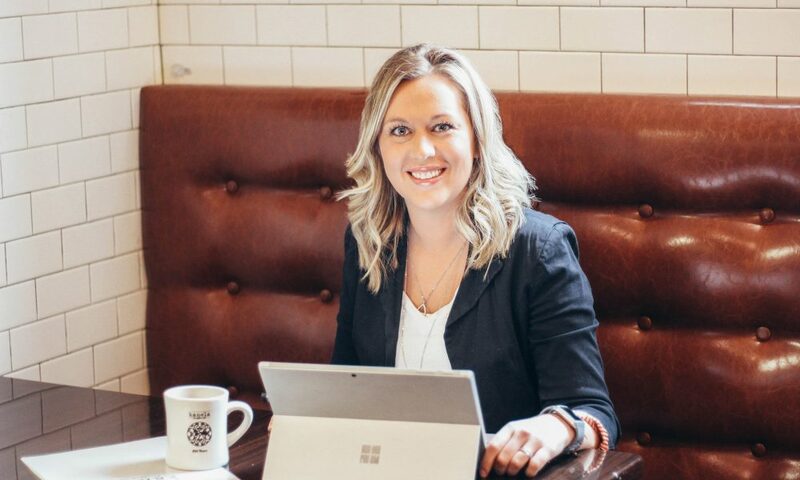 After discovering what it was really like to do B2B sales, I decided to end working there, and go back to my roots, in the restaurant industry, while I applied for what I then thought, was a “real job”. I worked for Vines on Clark, and eventually was hired on as a personal banker for Chase Bank. I worked for Chase for two years, and during that time, married my husband, Peter, and had our first child, Sia. I was introduced to Peter by my friend Phil a few months after he started working for Peter at Kanela Breakfast Club in Lakeview. Before and during my time with Chase, I would help with minor things at Kanela whether it be, bartending a private event, helping with schedules and payroll, or serving on the weekend or my day off from Chase. I even interviewed and hired the entire staff that helped open the second Kanela Breakfast Club location in Old Town. At this time, I had been interviewing to work with the Private Bank for JP Morgan and turned down the job because Kanela was opening their third and fourth locations in Streeterville and Wicker Park, and Chris, Peter’s brother and the founder of Kanela, called and asked if I would consider a position as the Director of Operations for all four Kanelas. When I decided to take this on, I had no idea what was ahead of me! 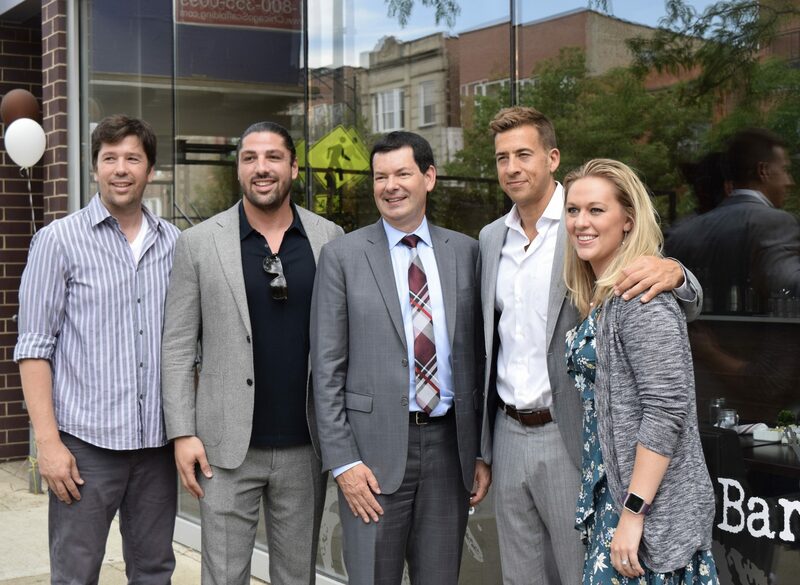 The opening of the Wicker Park location went very smoothly. 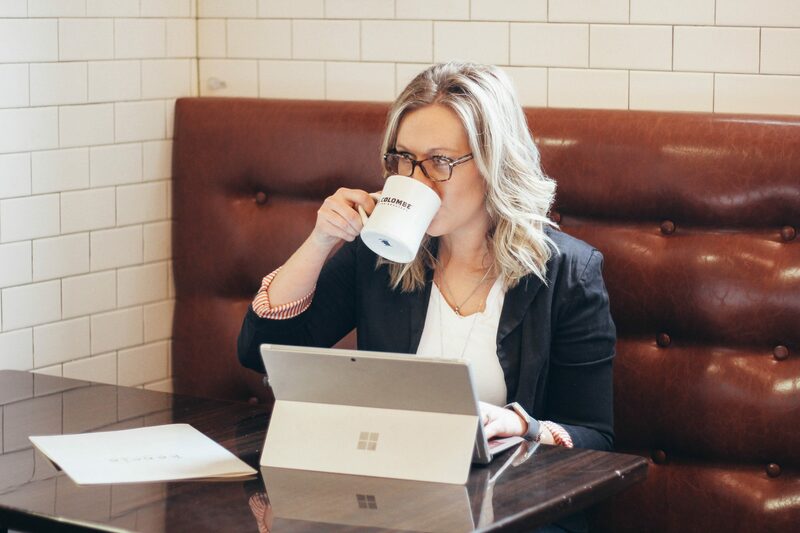 We weren’t very busy right away, which let us get the hang of things and allowed me to juggle the tasks that I had taken on. Streeterville, on the other hand, was a VERY stressful opening! I feel like I spent the hours of 5:00 AM until 6:00 PM there, 7 days a week. I was doing everything including, but not limited to, serving tables, bartending, running food, bussing tables, as well as, paying the Kanela bills, doing payroll, creating any pertinent documentation needed, hiring, scheduling, and booking private events. And did I mention that I was seven months pregnant with my second child at the time? It was quite eventful. But we got past the opening and now we have two beautiful spaces that are extremely successful! 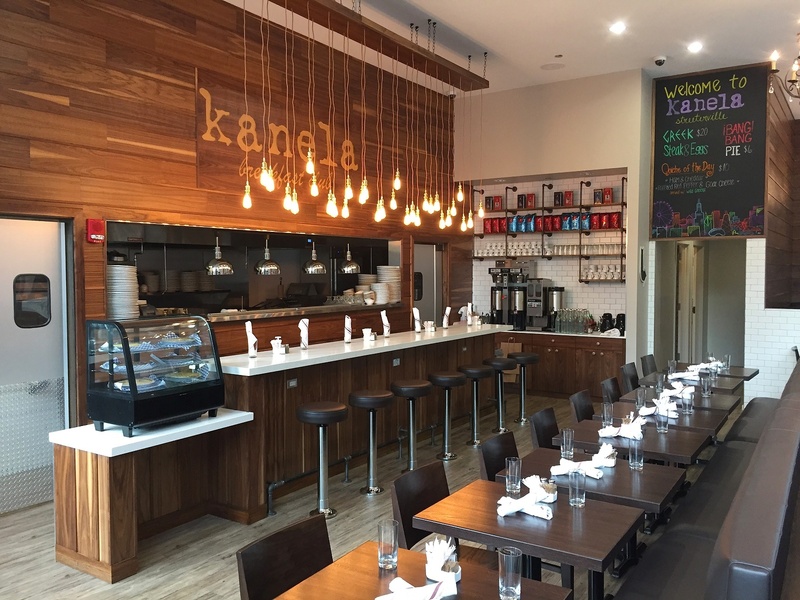 We have now opened Kanela V, in Andersonville, and Kanela VI in Ukrainian Village. Currently I oversee all six of our locations, doing the previously mentioned tasks, and overseeing any staff issues. We have built a pretty great structure and I rely heavily on my wonderful management team to keep the lines of communication open. We are a great team and figure things out and solve issues together. Being from small town North Dakota, I never imagined my life would be where it is. I am responsible for 200 staff members and I didn’t even have 200 people in my high school. It has been an absolute whirlwind, but in such a good way! There is a saying that I say to my staff and my family almost every day, “Never a dull day at Kanela.” The likelihood of something in the restaurant breaking, staff not showing up for work, someone not following policy, or some other catastrophe happening, is almost 100% each day. Now multiply that by six. I feel like my background in the military, having to cope in stressful situations and figure out solutions on the fly, has prepared me for what I do nearly every day. I absolutely love what I do, but a lot of the most difficult tasks fall on my shoulders. I have a very close relationship with a lot of my staff so when I must reprimand someone, or fire someone, that I really truly like as a person, it is hard. Customers can also be difficult. Another phrase I use a lot is, “Everyone should have to work in a restaurant for one year.” I really do think that should be a law, like some countries do with the military. I think it would give people a greater appreciation for what we go through on a day to day basis, in the restaurant industry. It isn’t easy to carry bus tubs full of dishes up and down flights of stairs or cook non-stop in a hot kitchen when the AC goes out on a 100-degree day. And sometimes things go wrong, and your food takes a little longer than usual, that just happens. People need to be more tolerant when something is imperfect. I think the hardest part for me is trying to juggle everything. I love the hands-on aspect of the restaurant. 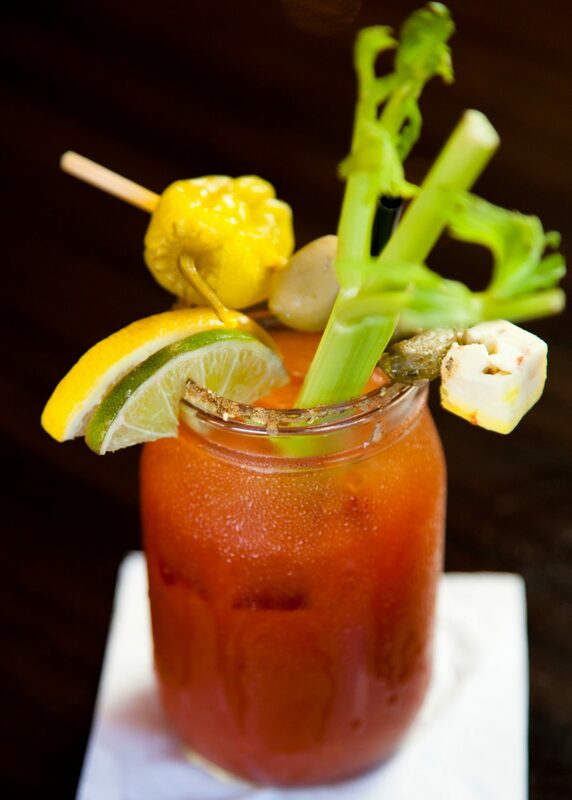 I have served, bussed, bartended and expedited at every one of my restaurants, on many occasions. This is where I was able to use my theatre degree! And being a math nerd, I also love the bookkeeping portion of my job. I love making spreadsheets and calculating the food and labor costs every week. There just aren’t enough hours in the day to do it all! So, let’s switch gears a bit and go into the Kanela Breakfast Club story. Tell us more about the business. 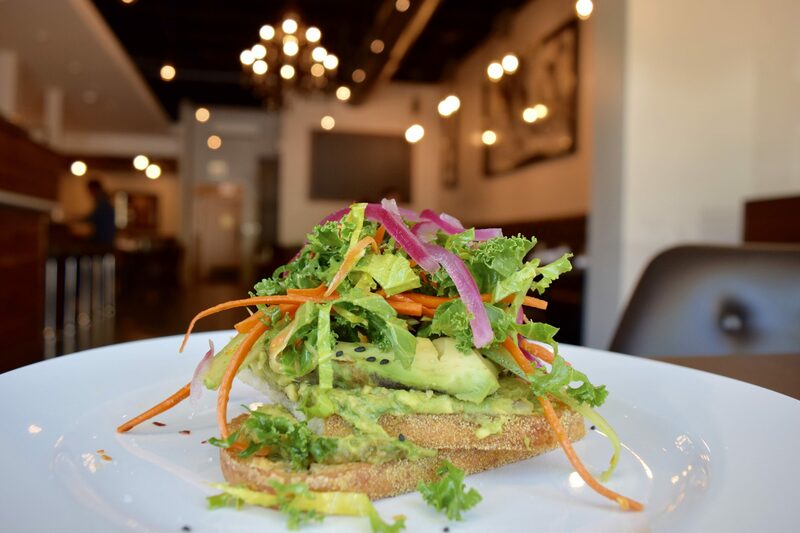 Kanela is a Greek-inspired eatery bringing an organic and delicious approach to traditional American breakfast and lunch. Kanela is the Greek word for cinnamon, and a lot of our signature items have the description in their name. My husband, Peter and his brother Chris, opened the first Kanela in 2011 and have been growing ever since. 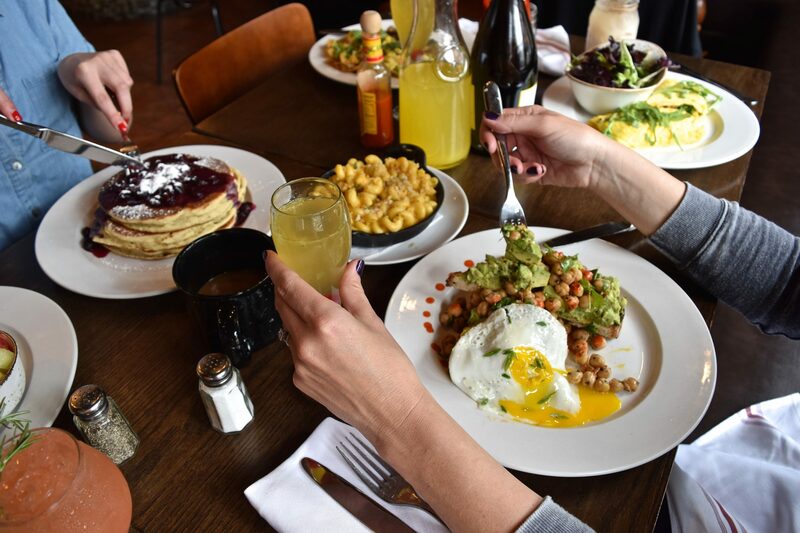 Now, seven years and six locations later, we have earned our spot as the #1 Breakfast Place in Chicago by USA Today. We are a scratch kitchen and use local and organic products whenever possible. We pride ourselves in having such an authentic, unique and fresh product that patrons love. However, our product wouldn’t be as exceptional without the hard work and dedication from our amazing staff. The Kanela team is truly a family – our staff has even coined us “The Kaneli’s”. 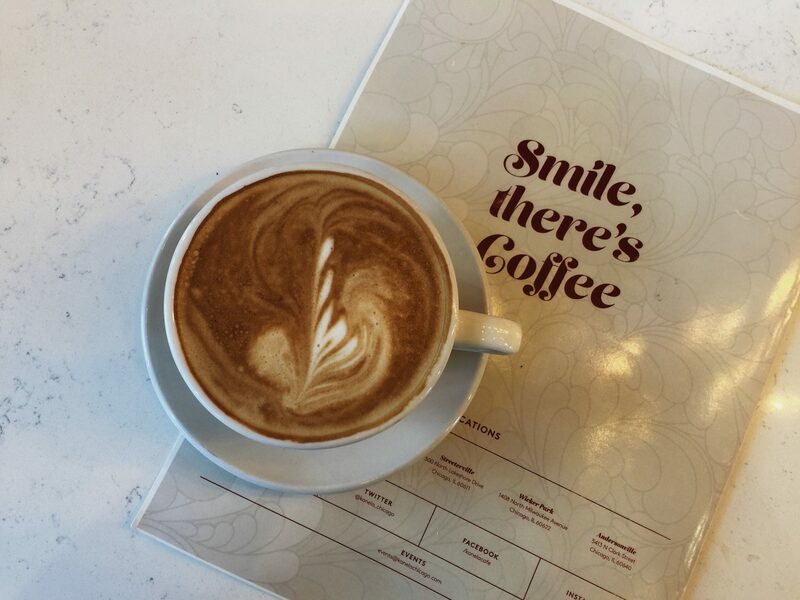 We have a comfortable work environment, which makes it a cozy and inviting place to eat. I make mistakes every day, I am learning as I go. I’m sure there are things that I could have changed that would have made things easier, but I really think that my experiences, failures and hard work, have helped make Kanela the success it is today, and made me who I have grown to be. You need to fall on your face a couple times, in order to figure out the “right” way to do things. I didn’t come in to Kanela thinking this would be my career, and my life. It was a temporary job for me until I found a “real job”. Now, I couldn’t ask for a better gig. I get to work with people I am happy to call my friends, and family. My job is challenging and rewarding and I learn something new, every day. I loooove Kanela! I eat there every week and it’s the perfect breakfast for me.